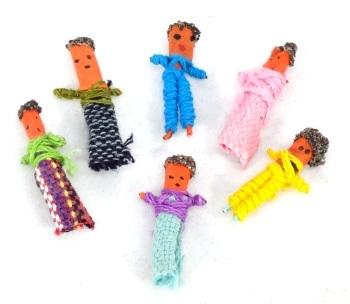 About the size of a penny, the worry dolls are a very popular tradition. 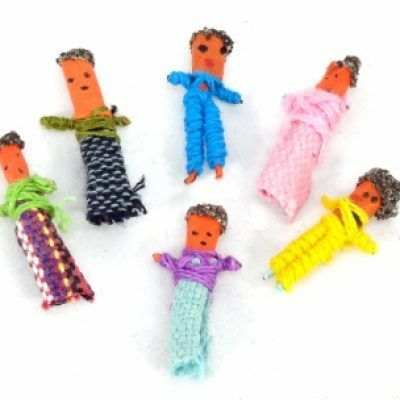 According to the legend, children of Guatemala tell one worry to each doll when they go to bed at night and put them under their pillow. When they wake up in the morning, the dolls have taken their worries away. 5 come in each small, hand painted box with instructions.